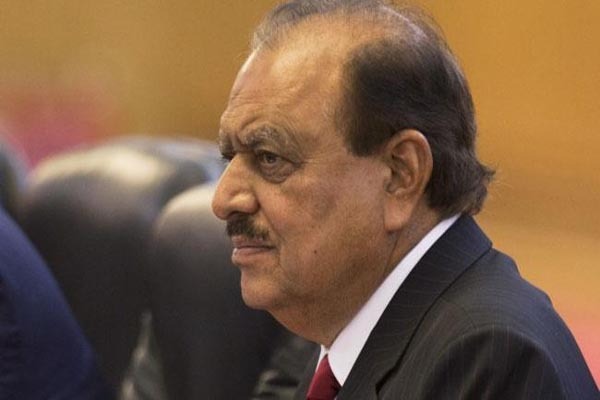 DOHA, Oct 23 (APP): President Mamnoon Hussain on Sunday visited the Pakistan Education Center (PEC), a school being managed by Pakistan Embassy in Qatar, and interacted with the students. The President, who is in Doha on a four day official visit at the invitation of the Emir of Qatar Sheikh Tamim bin Hamad bin Khalifa Al Thani, visited a few classrooms and library of the Pakistan Education Center. He had frank interaction with the students there. He also signed a visitors’ book and recorded his expressions. Earlier upon his arrival at the PEC, the President was received by Principal Nargis Raza Otha and staff members of the Education Center. He was presented a bouquet by two children clad with traditional Pakistani dress. Pakistan’s Ambassador to the State of Qatar, Shahzad Ahmad, also accompanied the President. Pakistan Education Center, established in Doha in 1985, was providing quality education to the students of 27 countries. Most of the students belonged to Pakistani community. The President was highly appreciative of the standard and quality of education as well as other facilities in the Education Center.